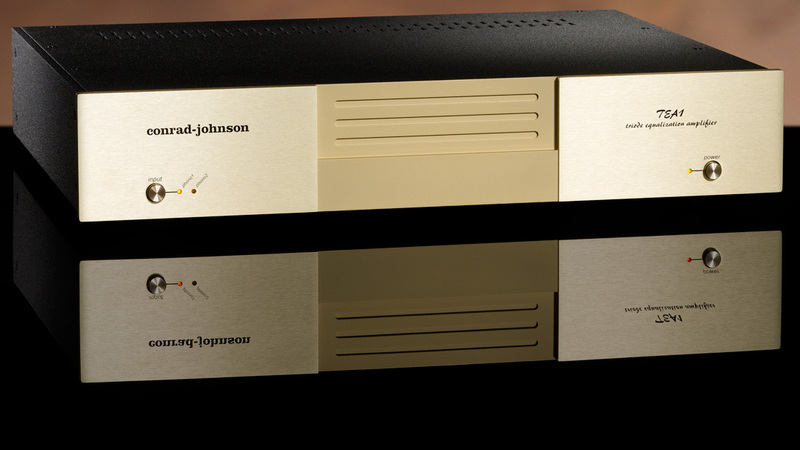 In response to ongoing requests for a state of the art conrad-johnson phono preamplifier, we are pleased to offer the TEA1 Series 3 triode equalization amplifier. Like the GATs2, the upgraded TEA1s3 benefits from improvements to the main audio power supply and increased capacitance. The TEA1s3 is equipped with two phono inputs, one a direct input with 54 dB of gain and variable resistive and capacitive loading, the other fitted with premium step-up transformers for low output cartridges, to provide an overall gain of 66 dB. The TEA1s3 is optionally available as the TEA1s3b without the step-up transformers, having instead two direct inputs, one with variable loading and one with fixed loading.